DigiCamReview.com | All the latest digital camera reviews, news, help, tips, sample photos, links, advice, discussion, bargains, price watch, plus more. Neocamera just reviewed the hot new Nikon Z7, a new mirrorless camera from Nikon that introduces an equally new system built for top optical performance. This 46 megapixels mirrorless is designed to bring the best features and performance of professional Nikon cameras into the mirrorless world. Its sensor is based on the similarly specified one in the Nikon D850 yet with a 493-Point Phase-Detect AF system built right in. A fast EXPEED 6 processor allows the Z7 to sustain 9 FPS continuous shooting and 4K Ultra-HD video. The Z7 is a completely new offering with redesigned body and controls that is highly efficient for the smaller form-factor. 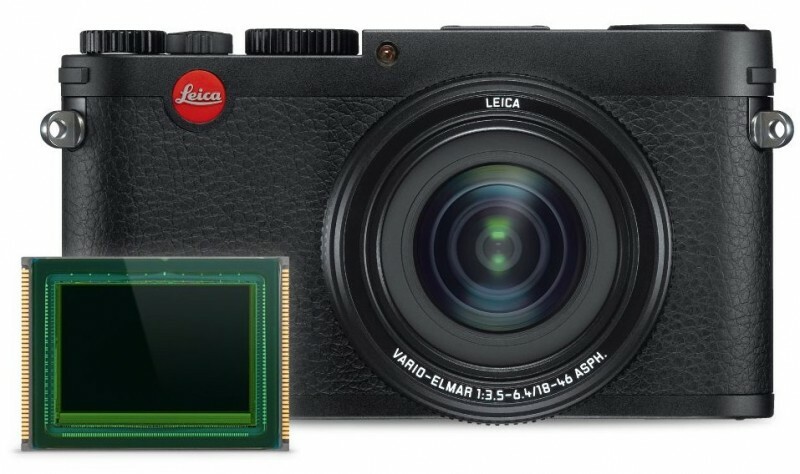 Even though it only sports a single XQD memory-card slot, the body is still fully weather-sealed and sports a class-leading 3.7 megapixels 0.5″ EVF with a large 0.8X magnification and never-seen-before sharpness. This new Nikon Z7 just got an in-depth review published at Neocamera with full-resolution images at every standard ISO and measurements for all aspects of its performance. Read the review to find out everything about the Z7. Neocamera recently published an in-depth review of the Fujifilm X-H1. This review of the latest flagship Fujifilm mirrorless digital camera analyses the capabilities, usability and performance of the X-H1, taking a complete look at every feature and ergonomic change from the X-T2 previous flagship to the latest X-H1. The Fujifilm X-H1 is a unique camera in the Fujifilm lineup of X-mount mirrorless since it is the only one to feature a 5-axis image-stabilization system built right in. This flexible system analyzes camera movements 10,000X per second to compensate for involuntary movements of the photographer. This makes it more steady than its predecessors when shooting video which the X-H1 can in 4K Ultra-HD and Cinema 4K format. Read the detailed Fujfilm X-H1 review here. Be sure to read the usability page that goes over what are major changes to the ergonomics and user-interface of the X-H1. The Nikon D850 is the newest DSLR from Nikon. It takes resolution to a new level for Nikon thanks to a 46 megapixels BSI-CMOS sensor while delivering on speed with its EXPEED 5 processor that lets the D850 shoot continuously at 7 FPS or even 9 FPS when boosted by a more powerful battery fitted into the optional grip. This Full-Frame DSLR takes the Nikon mold to a new level with a recognizable yet refined ergonomics in a sturdy weatherproof body. The D850 packs nearly every feature Nikon has built into any of its DSLRs, including 4K Ultra-HD video – now taken from the full-sensor width – Time-Lapse Video, Interval Timer, HDR, Multiple Exposure, WiFi, Bluetooth and much more. This is a completely professional DSLR suitable for any task and well-adapted to low-light with its illuminated controls, backlit status LCD and large optical viewfinder. A detailed review of the Nikon D850 covering all its features was just published at Neocamera. This is a worthy read for anyone considering buying this high-priced DSLR or any of its competitors. Exceptionally for this review, the entire gallery of images was shot in Jamaica. Check it out! The latest APS-C DSLR from Nikon, the D7500 is a semi-professional offering with image sensor taken from the flagship D500. This ensures top-most image-quality in its class at much lower price given that it has a 51-point AF system and 8 FPS drive, instead of the 153-Points and 10 FPS, as on the D500. Still, the Nikon D7500 is a fully capable and feature-rich DSLR with a weatherproof body, dual control-dials and plenty of controls. An in-depth review of the Nikon D7500 was just publised at Neocamera. Read on to find out how the D7500 performs and compares to both its predecessor, the D7200, and the flagship D500. The Fujifilm X-E3 is a compact mirrorless digital camera with unique twist on the rangefinder design. It houses a 24 megapixels X-Trans CMOS III sensor with built-in 325-Point Autofocus system. This mirrorless can record 4K Ultra-HD video at 30 FPS and shoot continuously at up to 14 FPS using an Electronic-Shutter or 8 FPS with a Mechanical-Shutter. The body of the X-E3 has been shrunk compared to the X-E2 that precedes it by removing the 4-way controller on the back, leaving only a focus joystick to navigate the menu system. This makes using the X-E3 completely different than any other digital camera, although it maintains efficient controls with dual control-dials, a dedicated shutter-speed dial and an exposure-compensation dial. An in-depth review of the Fujifilm X-E3 was just published at Neocamera. Read on to find out how the X-E3 performs and particularly how its new ergonomics work out. Olympus has been quite ambitious this year. Their latest flagship camera was introduced to push the performance boundaries of mirrorless digital camera and they succeeded in producing one of the most promising camera on the market, the Olympus OM-D E-M1 Mark II. This high-end mirrorless is built around a 20 megapixels CMOS sensor captable of recording 4K video. This new sensor delivers an unprecedented through put with burst rates of up to 60 FPS and incorporates Phase-Detect autofocus at 121 points. This autofocus system manages to keep up with action at up to 18 FPS, an unprecedented level for a Micro Four-Thirds camera or even a DSLR. Neocamera recently published their express review of the Olympus OM-D E-M1 Mark II. Read on to see how this flagship mirrorless performs. Be sure to check a head-to-head comparaison of the E-M1 Mark II’s 50 megapixels High-Res Shot mode with the latest 50 MP Medium Format camera in the Comparative Crops page. The latest GoPro Hero 6 has been reviewed by ePHOTOzine, Pocket-Lint, and Trusted Reviews. 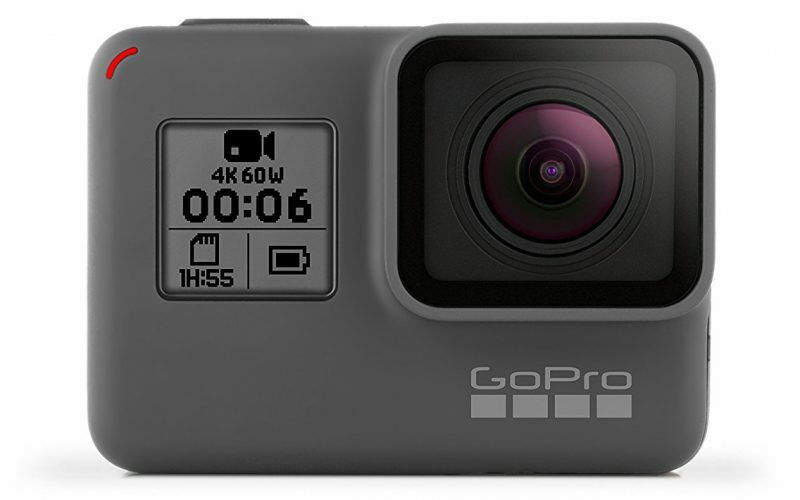 The GoPro Hero6 Black offers 4K video at 60fps, and electronic image stabilisation when recording 4K video at 30fps. It’s waterproof to 10m. Reviews on Amazon have been mixed, with some people experiencing problems. Positives include: Great video quality, electronic image stabilisation, improved image quality. Negatives include: Most expensive GoPro Hero yet. Touchscreen can be fiddly.